Noone ever wishes to have a kidney disorder... whether you are struggling with an infection, stones or disease... the truth is, it is, and can be one of the most unpleasant experiences a person could ever endure. This article was put together to hopefully help you in your journey find an all natural way to help your kidneys get healthier and stronger. 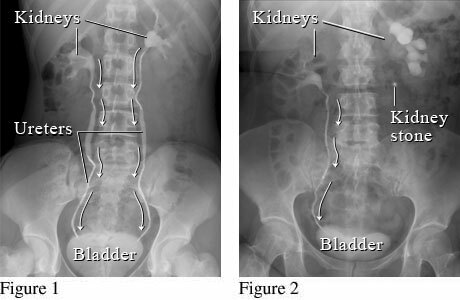 Kidney stones (renal lithiasis) are small, hard deposits of mineral and acid salts on the inner surfaces of your kidneys. Normally, the substances that make up kidney stones are diluted in the urine. When urine is concentrated, though, minerals may crystallize, stick together and solidify. The result is a kidney stone. Most kidney stones contain calcium. Nausea, constant urge to urinate, red urine and fever. Some have complained of symptoms similar to what it might feel like to have a heart attack. 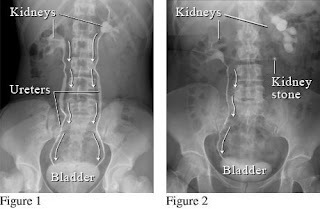 Pelvis and back pain. There are a few different types of kidney stones including calcium, struvite and uric acid stones. If you have a history of stones, knowing which type you have developed can help you make the needed dietary changes to prevent future occurrences. For instance, if you are prone to uric acid stones, you may be instructed by your doctor to reduce protein intake. Eating foods that are rich in oxalates may cause an increased risk in the formation of calcium oxalate kidney stones, according to the National Kidney Foundation. Drinks: Beer, chocolate milk, soy drinks, tangerine juice, juice of almost all berries and fruit cocktail, and hot cocoa. Fruits: Rhubarb, currants, marmalade, purple grapes, tangerine and blueberries. Vegetables: Cucumber, kale, green peppers, celery, eggplant, escarole, beets, chives, okra, parsley, spinach. Grains: Whole wheat bread, popcorn, wheat bran, oatmeal, white corn and soybean crackers. Condiments: Black pepper, cinnamon and ginger. Starches: Fruit cake, sweet potatoes and grits. 4. Ask your doctor about taking calcium supplements, and add Magnesium to your diet. My personal favorite is Calm.This will aid in your bodies ability to absorb calcium and other nutrients and can also aid in the stress your body may be experiencing. Raw Organic Fruits and Vegetables rich in potassium - include leafy greens, dried beans and peas, carrots, dried fruit, and bananas. Animal - Foods high in protein may cause excess uric acid to be excreted in the urine. When the urine becomes too acidic, a person may have an increased risk of kidney stones. The excess uric acid can crystallize, which causes the stone to form. Although protein is necessary in the diet, excess amounts should be avoided in people who are prone to uric acid kidney stones. A diet high in salt results in more calcium being excreted in the urine, which can also cause kidney stones. People who are prone to calcium kidney stones should reduce salt intake to about 2400 mg, according to the National Institutes of Health. Foods which are generally high in salt and should be reduced include canned soup, luncheon meat and fast food. Pure lemon juice may not be your first choice when it comes to beverages, but drinking a half a cup a day may help prevent certain types of kidney stones. Lemon juice raises the amount of citrate in the urine, which decreases the chances of calcium stones from developing. Grab a lemon and squeeze a fresh glass every morning with your Spring or Distilled water. In some cases, dietary changes may not be enough to stop kidney stones from forming, when this occurs, supplementation may be recommended. Certain herbal remedies have been found to help regulate the acidity of urine and help reduce stones from forming, while helping to make the urine more alkaline. According to the National Kidney Foundation, the incidence of kidney stones has been increasing in the last several decades and continues to rise. Kidney stones will affect about one in ten people during their lifetime. Having a kidney stone in the past is a risk factor for developing a stone in the future. Taking a proactive approach and implementing the preventive techniques listed above may help reduce the chances of kidney stones developing in the future.